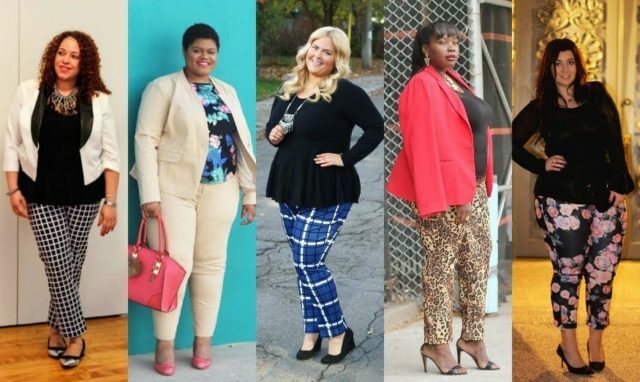 I love the Kady pant from ELOQUII, but I'm losing weight. The things I like about the Kady pant include the perfect ankle length, the variety of colors that keep being introduced, the versatility of the pant (work appropriate and casual appropriate too), and the cut that makes room for a curvy gal's figure. Do you have any recommendations for a [cusp-sized] vendor that can come close to the attributes of the Kady? Readers, do you have a favorite ankle pant that flatters a curvy feature? Do share in the comments! Allie – thanks for answering my question! I really appreciate the suggestions!! I love Boden’s Richmond pant. I’ve gained a fair amount of weight the last few years and these pants were great for me in three different sizes. I do find they tend to run slightly large, so if between sizes, I’d round down. Thankfully, they have free returns so if you get it wrong, it’s not catastrophic. I haven’t had an issue with the pockets like Roberta mentioned. I find that as long as they are the correct size (not too small), the pockets lay perfectly flat, but different bodies may have different issues. Thanks so much for including me on this post! I love the Kady pant so much! My pleasure, I adore your style! Trying to avoid too much fast fashion, but I have been dropping lbs and the Pixie Pants from Old Navy have been a lifesaver. They are very similar to the Kady and come in ankle and regular lengths. Like a lot of cheap stuff, though, sizing is kinda all over the place. Inconsistent from pair to pair, even, and not accurate. For instance, I am down to a very comfortable size 16/often baggy and maybe could even do a size 14 in a lot of brands. I am an 18 in the pixies. Makes no sense. But still, they are good pants for a stop gap. Good to know, thank you my friend! Another shout out to Ann Taylor pants, especially the Devin cut. I’m a size 12/14 on the bottom, and the Devins in size 12 are perfect. I own three pairs. AT pants are made really well in general, especially with their every other week 40% off sales. I tried the Boden Richmond, but they have vertical pockets, and they flare out in an unflattering way. The Devin pants have a horizontal pocket, which doesn’t pull or pop out. Details! Oooh thanks for this Roberta! !